Erected by his surviving children in loving memory of Major Thomas Pakenham Vandeleur. 25 years Treasurer of the County of Limerick, who died at Bellefield, January 17. 1879. Aged 80 years. And of Frances Lucy his wife, who died Octoer 9th 1891, aged 75 years. Thou Shalt Call and I will answer Thee. Jo 11th Chap 15th Verse. It appears that many of the family including William Wray were interred in St John’s Church of Ireland not in St Munchin’s Church of Ireland where this memorial is. 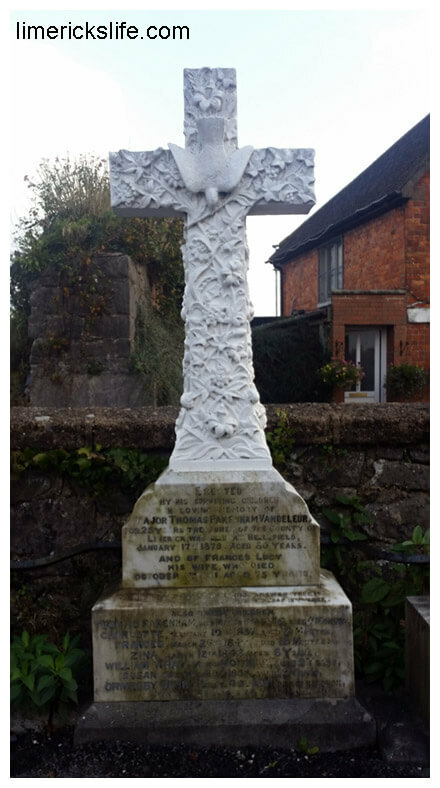 Major Thomas Pakenham Vandeleur, was born in November 1798 and died on 17th January 1879 at Belfied, Limerick. He entered the army in 1815 and served in the 85th Regiment and 21st Fusiliers. 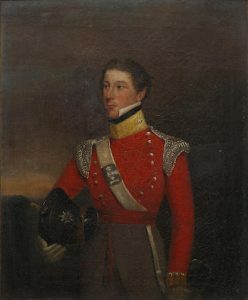 In 1830 he sold his commission and retired from the army.